Sometimes low volumes or other logistics make it preferable to outsource PECVD coating or plasma surface treatment. 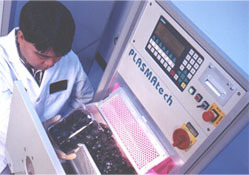 PLASMAtech's experienced staff and state-of-the-art equipment ensure consistent, quality processing in a GMP-compliant lab. If you need a few or millions of parts, we have the capacity and flexibility to provide cost effective processing with quick turnaround - and at competitive pricing to help manage your bottom line. Stringent quality control procedures ensure that every job meets your requirements. Whether you have a new application or would like to see how PLASMAtech's competitive pricing and excellent turnaround compares with your current supplier, contact us to arrange a sample processing trial. Do you have a novel or especially challenging requirement? 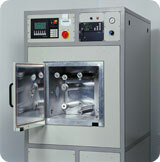 Have you tried plasma surface treatment or coating in the past without much success? Contact PLASMAtech and tell us about your requirements. Our experienced plasma and material engineers will determine if plasma or parylene technology are viable for your particular application � and if so, we can partner with you to develop an efficient and cost-effective solution.